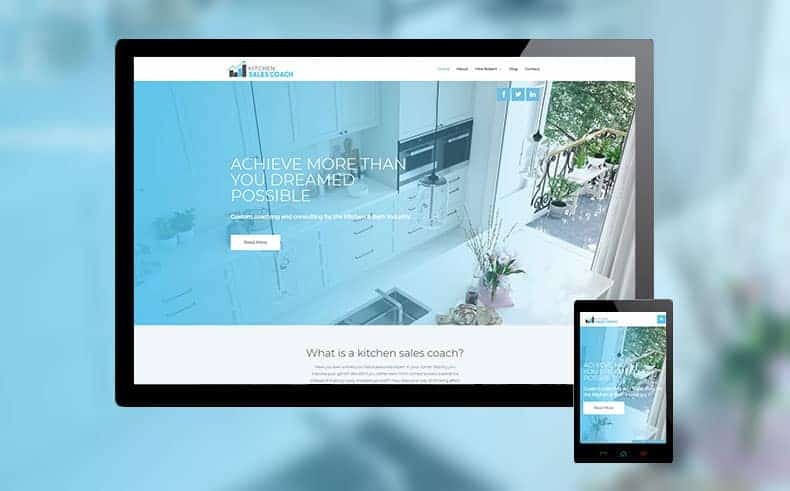 Kitchen Sales Coach partners with Kitchen & Bath businesses all over the world and they needed a website that helped them connect with prospects. We started with their brand guide and logo, and then built a website that gave them a place to use video and content to share their expertise. I have redone my website every couple of years since I started in 2007, and this has topped every previous website! The experience that the Home Pro Digital team gave me was absolutely phenomenal!!! From their copywriter to their Social Media Marketing team and all in between! Home Pro Digital is the best and you can count on a solid recommendation from Kitchen Sales Coach!